Andrew is a successful start-up entrepreneur with a corporate pedigree and track record building, launching and scaling profitable and innovative business in the healthcare and pharmaceutical industries. Mr. Andrew S. Ripps was the President and Chief Operating Officer of AssureImmune LLC. 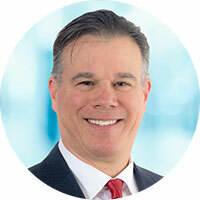 He has over 27 years of life science management experience in the personalized concierge medicine, pharmaceutical, electronic medical records (EMR) and Internet technology and diagnostics markets. He served as Chief Operating Officer of MDVIP Inc. Prior to MDVIP, he served as Executive Vice President of marketing and product management for Cybear, Incorporated.